This Beautiful Brick Center Hall Colonial In The Central Section Of Town Boasts A 100 X 263 Lot. 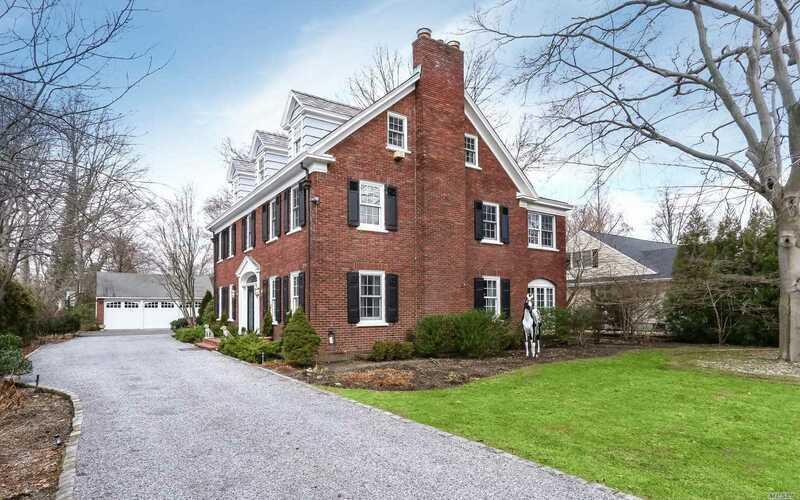 The Home Features A Grand Ent Fyr, Spacious Lr W/Fp, Fdr, Eik W/Bp, Office W/Fp, & Den. The 2nd Fl Mbr Suite W/Sitting Rm & 4 Addl 2nd Fl Brs Serviced By 3 Full Baths. Spacious Walk Up Attic For Storage, Basement Rec Rm W/Fp, 4 Zones Heat, 2 Zones Cac, Young Windows & Boiler. A Remarkable Value For The Size & Location Of The Home & The Lot!